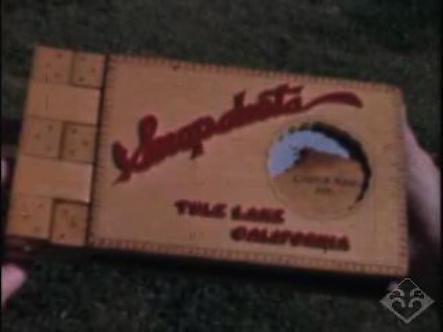 Color footage shot at Tule Lake by teacher Charles Palmerlee, 1942-1945. Includes hand-made intertitle cards; panning shots of camp barracks; the guard tower at sunset; high school students, including a graduation; school administrators and office staff; Japanese dance performances; crafts, including bird and shell pins; the Tule Lake Union Church; Christian Youth Fellowship group; shots of families and children; and the transition to segregation camp with families leaving and others arriving (31:17). Credits: Charles Palmerlee Collection, Gift of Mrs. Charles Seward Palmerlee, Japanese American National Museum (96.47.8). Preserved and made accessible in part by a grant from the National Film Preservation Foundation. HNRC — Última actualización Sep 09 2014 9:43 a.m.